Smart Communications is now offering the Nokia N9 for pre-order. 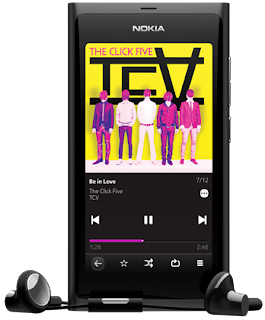 The Nokia N9 is a MeeGo powered smartphone with a 3.9-inch screen. Two versions are available. One with 16GB or internal storage and another with 64GB. Internal storage is not expandable via SD card. Nokia N9 64GB - Free at Data Plan 3000 or Php1,200 at All-in Plan 3500. Bundled with the phone is a Nokia Wireless Music Receiver MD-310 which connects your phone to your stereo. The pre-order period runs from November 4 to 21, 20011. Pick-up date is November 21, 2011.